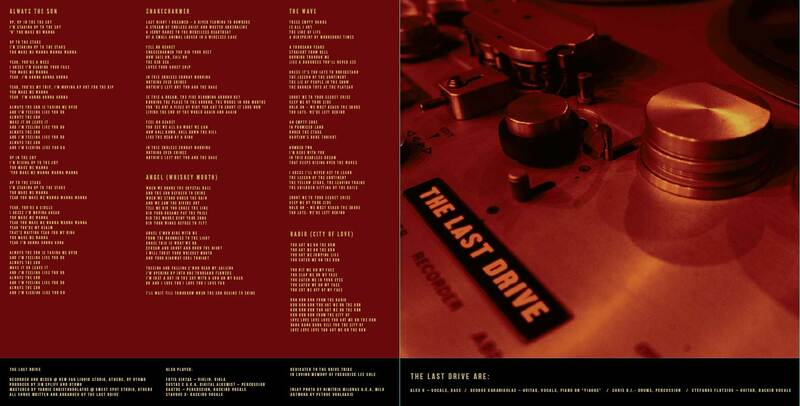 The Last Drive are Alex K (Vocals, bass), George Karanikolas (Guitar, vocals), Chris B.I. (Drums) and Stefanos Flotsios (Guitar, vocals). 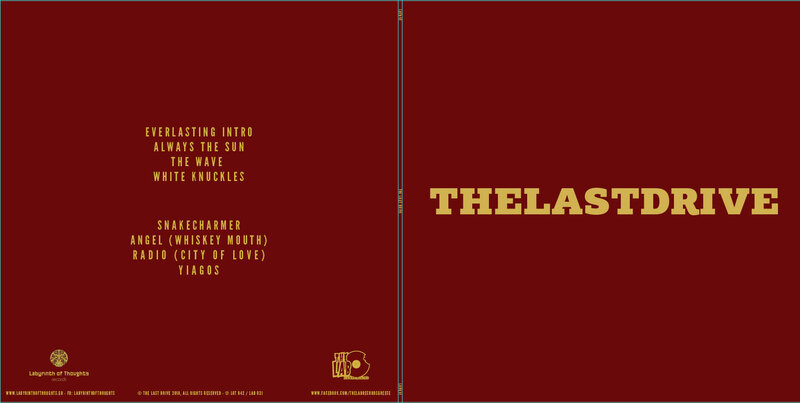 The album is dedicated to the “Drive Tribe”, the community of dedicated fans who support the band through all these years of its existence. Last, but not least, to the dearest Fred Cole of Dead Moon, who recently passed away. The recordings took place at “New Fab Liquid” Studio, after a pre-production period at “Urban” studio. The album was produced by the close collaborator of the band Jim Spliff and Nikos Agloupas (a.k.a Otommo) who was also the sound engineer. Special guests: Fotis Siotas on Violin, Costas C. a.k.a Digital Alkemist & Kaktos on percussion and Stavros X. on vocals. 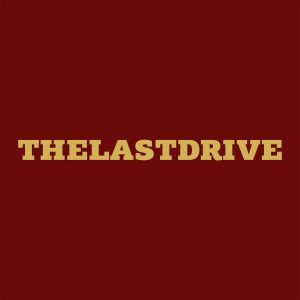 Rooted firmly in the punk explosion of the late ’70s, the Last Drive burst into the Greek music scene in 1983, captivating audiences and critics alike with their unique speed-trash-garage-punk sound and their explosive gigs. 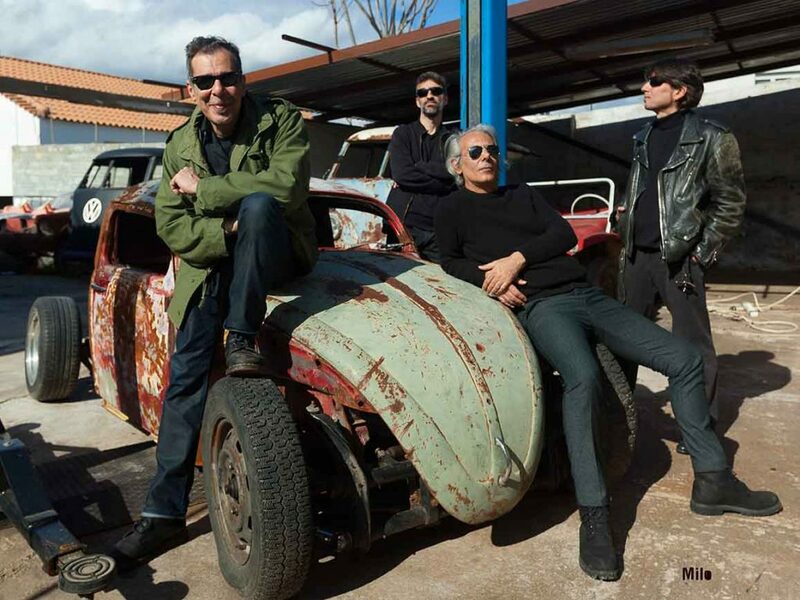 Their debut LP Underworld Shakedown (1986) is met with critical praise, prompting them to get out of the confines of their country and carry out their first European tour. A stir is created abroad when songs off the LP are included in international garage compilations (Battle of the Garages, Sounds of Now!). It is no surprise that their next album Heatwave (1988), is co-produced with Peter Zaremba of the Fleshtones and is released through the German label Music Maniac. Not long after that, Theo Angelopoulos includes two of their songs in his film Landscape in the Mist and Music Maniac, excited by the reception to Heatwave, releases the CD Their Story So Far, which contains their first two albums. In 1989 they record the Time E.P. in Berlin, winning new fans. 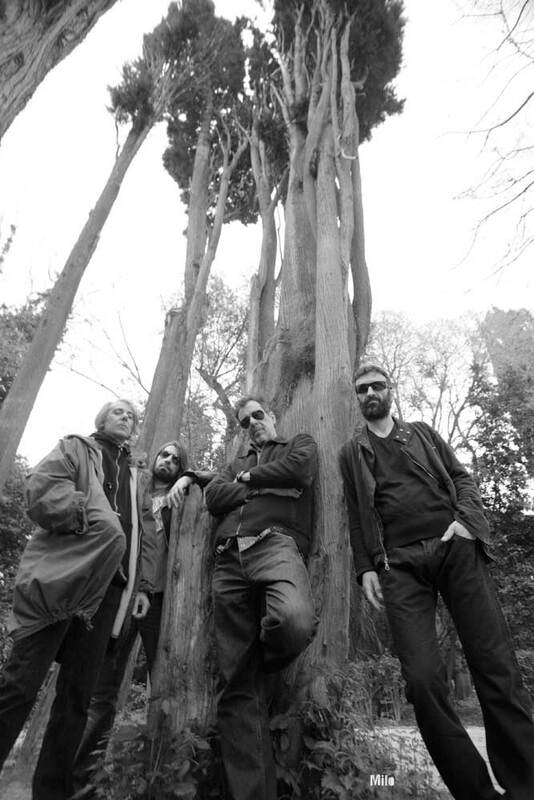 Through their meeting with Dream Syndicate, they collaborate with Paul B. Cutler, who handles production duties on their next album. Blood Nirvana (1990), one of their most accomplished recordings, marked a turn to harder sounds and was released in Germany and Spain, and a year later in the US by Restless. In summer of 1991, the Last Drive tour with Dead Moon all over Germany. It is the beginning of a long-lasting friendship. In 1992, Paul B. Cutler returns to Greece for a new “magical” collaboration. 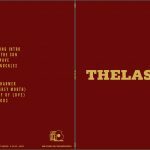 Recording and mixing takes place in Athens, with mastering in Hollywood. F*head Entropy is an altogether different concept, with more tone-color and harsher language. 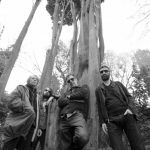 In 1994 they release “Subliminal”, which bears the identity of a band that can draw on its various influences, putting their personal stamp on anything they choose to work on. 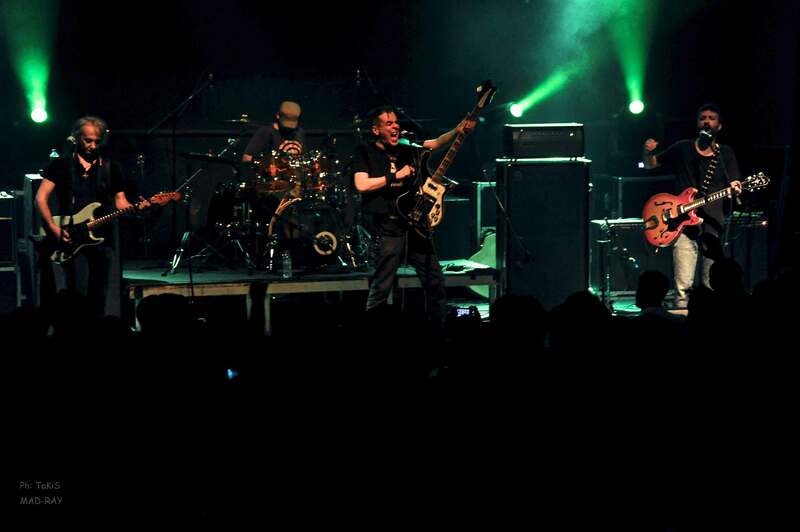 The band breaks up in 1995, but reforms in 2007 with a series of explosive gigs in Greece and abroad, and the release of their first full-length live LP, Time Is Not Important. 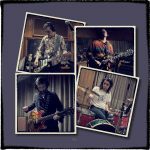 A film documentary entitled 20000 Miles Ahead – A Last Drive Story by director Dimitris Kotselis hits the big screen in 2008 and a CD/LP entitled Heavy Liquid comes out in 2009 with critical appraise, reaffirming the band’s recording status. 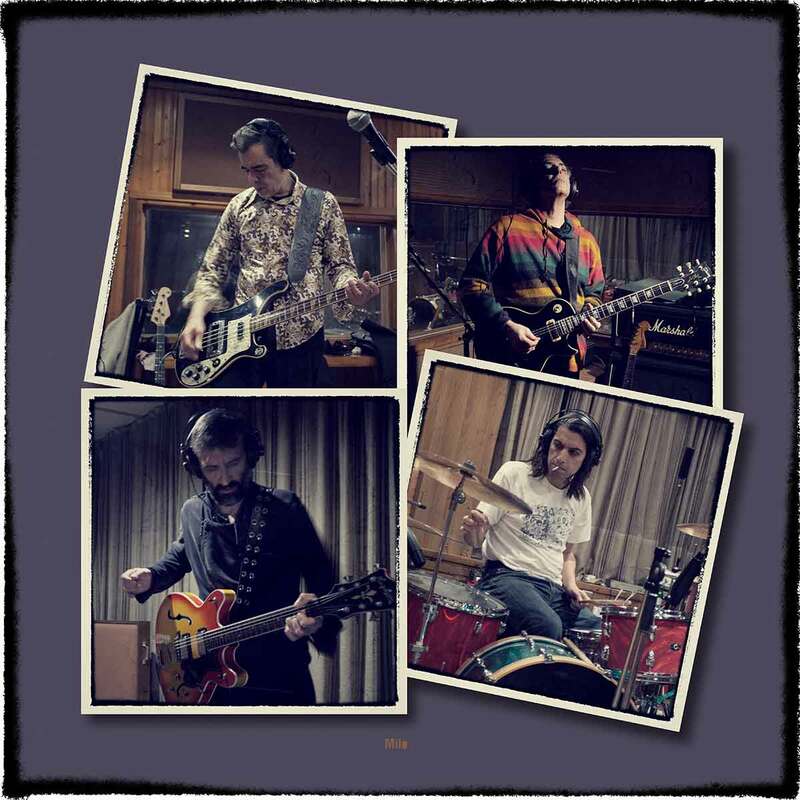 More action follows and the EP News from Nowhere is released by Inner Ear in 2011. 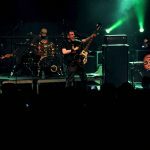 With a new guitarist, Stefanos on board, the band keeps delivering the most intense and powerful gig experiences. 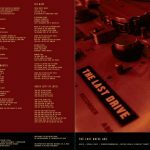 In 2013 the Last Drive celebrates its 30-years existence with two days of rock n roll unity at its home base, resulting to a new documentary, And the Engine is Still Running by Sergio Vafeiadis. 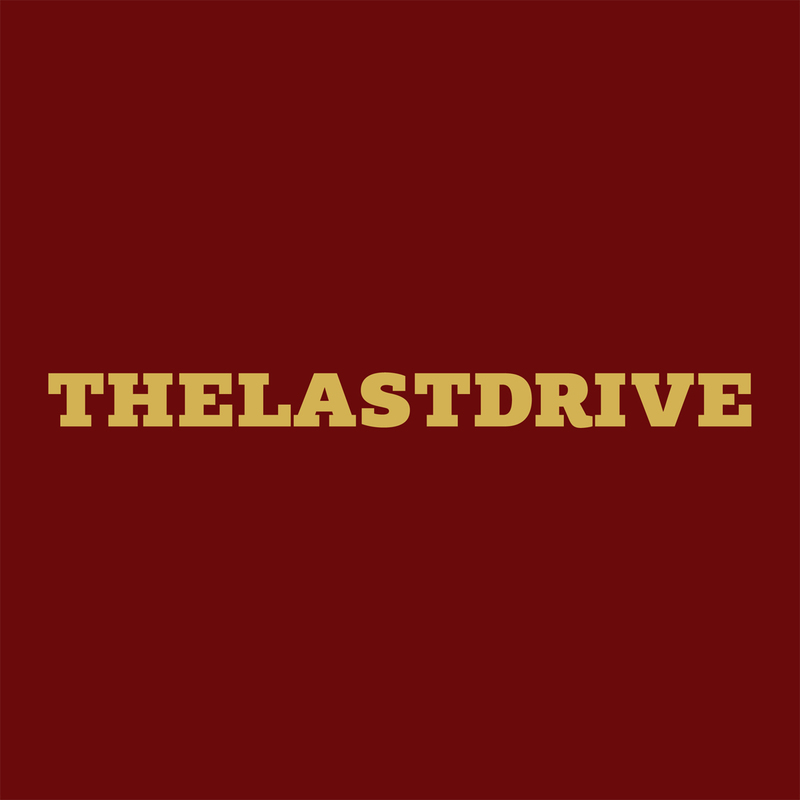 After an unplugged period that lasted almost two years (2015-2017), the Last Drive fire up their guns once more with the recording and release of their self/titled album in the spring of 2018.